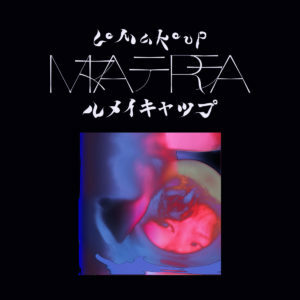 Matra works as the bridge between Le Makeup’s two musical sides. The Osaka artist’s voice bounces off of the beats here, approaching a rap while adding an emotional urgency to every song here that really resonates when they let the edges of the songs fray a bit. “Fade” is right, Le Makeup guiding the song forward with a guitar melody slightly obscured, their voice hovering somewhere in the back. That’s the one inclusion here that feels like it could easily slide into last year’s Hyper Earthy, but plenty of details sprinkled throughout this EP remind of Le Makeup’s focus on the everyday, from guitar lines to obscured singing. Yet Matra moves too, revisiting the dancehall and Bala Club inspired tracks appearing on something like Esthe. “Lush” pointed the way, and Le Makeup only goes further across this EP. The title track incorporates clanging percussion, but the effect isn’t intimidating but rather something that fits in nicely with the stream-of-thought vocals they bring to the song. That tension carries over to “Wilted” and “White Curtain,” both with plenty of energy surging through them. It’s two parts of Le Makeup coming together to form a distinct voice. Get it here, or listen below.